Theresa May, the Home Secretary, was in Norwich and nelsonspirit were invited along to the event to provide feedback about apprenticeships, internships and young people. 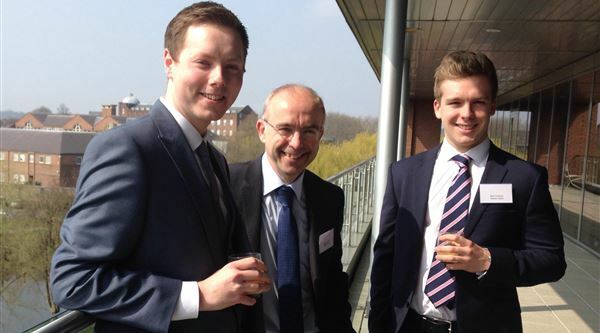 Nigel (Chairman & Founder), James (Intern & Business Manager) & Ben (nelsonspirit Future Leader Fund grantee) attended the event at the Birketts offices to meet the Home Secretary and MP Chloe Smith alongside a mix of Norfolk business leaders. James, Nigel & Ben before the event.